There have been many versions of Dr. Frankenstein in literature over the years, but have there been any where he was a mechanic instead of a mad scientist? That's what Monster Motors is all about. Young Vic Frankenstein buys a junkyard in Transylvania off the Internet. There was a reason he got such a great deal on it. Within the high walls surrounding the place lurks an evil automobile by the name of Cadillacula, feasting on the gasoline of other cars. Now Frankenstein must stop this menace before it grows too powerful and destroys the town. It's literally about monster trucks. 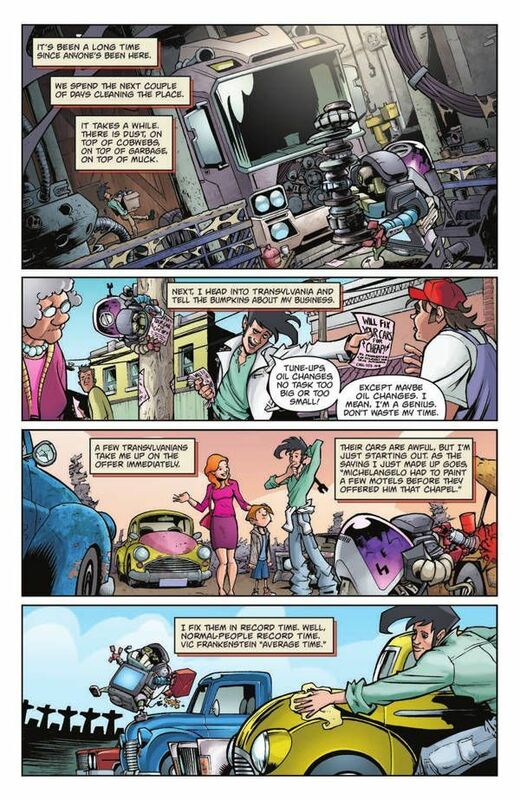 Monster Motors reads like the funnest Saturday morning cartoon that has never existed. 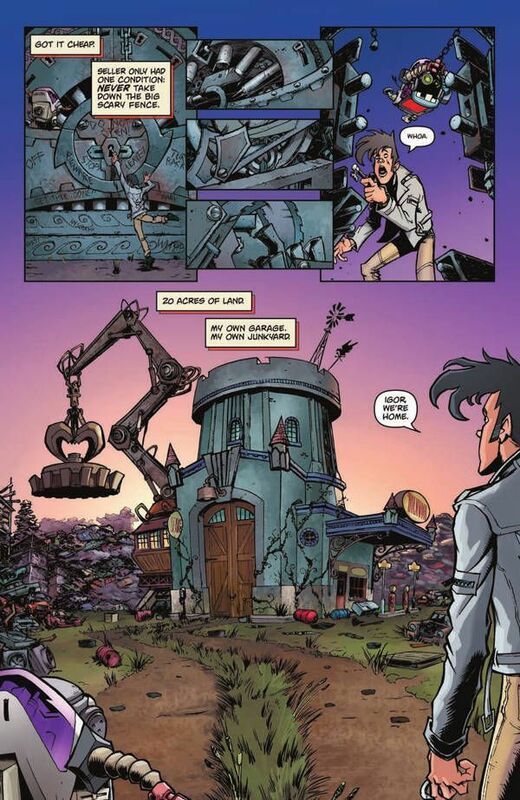 Vic Frankenstein is a lovable smartass who can fix up anything with a motor. He created a robot assistant named iGor (the first of many great puns to fill this book) to help him with his work. The premise is so simple yet brilliant. 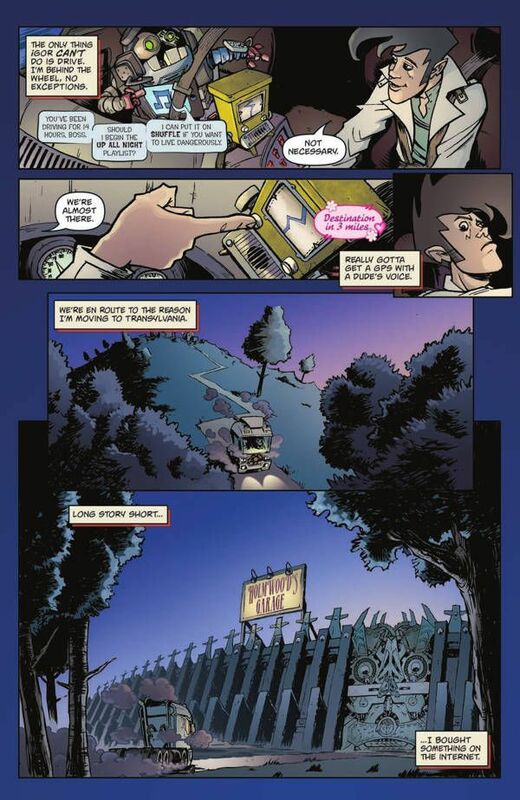 This one-shot serves as a great origin story for Vic Frankenstein. Writer Bryan Lynch leaves things open for many more stories with some new monster cars such as Mini Van Helsing and Jekyll and Mr. Hybrid. I am intrigued by a world where the legendary monsters are represented as four-wheeled automobiles. This is the Hot Wheels set I've always wanted but didn't know until just this moment. 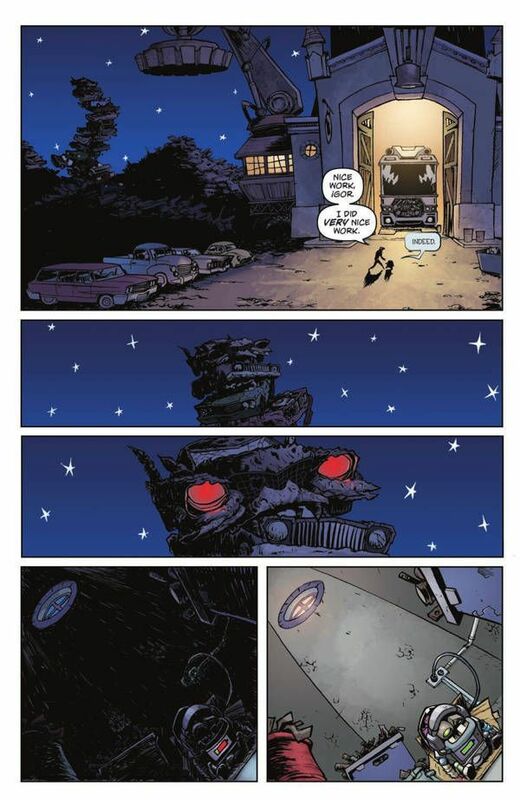 Nick Roche is the perfect artist for this book. His style is just cartoony enough to resonate with the all-ages tone of the comic. Meanwhile, the cars are suitably spooky. Cadillacula looks like a demonic version of the Batmobile, transforming over time as it continues to feed. 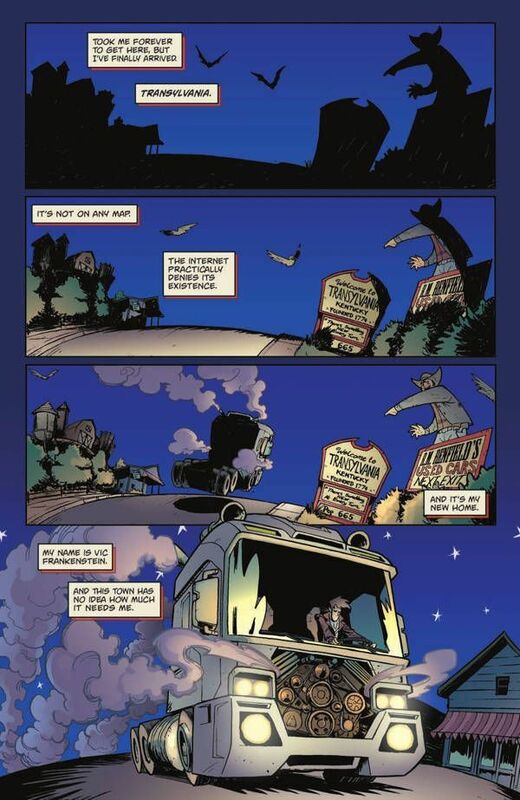 The truck created to stop the vampire car is Frankenride, which is probably just what you think it is. It's big and tough and undead. 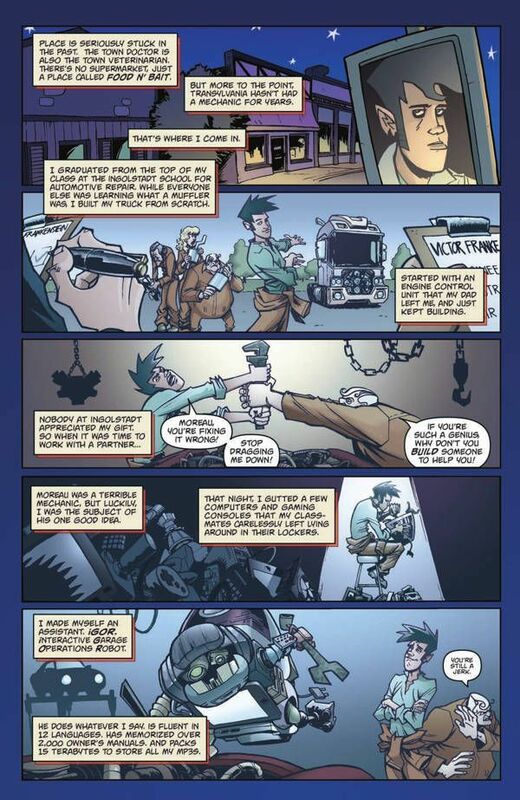 Monster Motors is the kind of fun, creative story that comics were made for. It's silly and easy for kids to pick up while also being smart enough for adults. This needs to be an ongoing title. I would gladly read about the monthly adventures of mechanic Vic Frankenstein in Transylvania as he battles monster cars. Wouldn't you?